Covers Mumballup (Donnybrook- Boyup Brook Rd) to Donnelly River Village beyond Brockman Highway including Balingup. Shows permitted vehicle access points, disease risk areas, campsites, terrain profiles, distance tables, Track town inset maps and much more. Buy the first four maps together and save! Buy Guidebook 4 and Map 4. 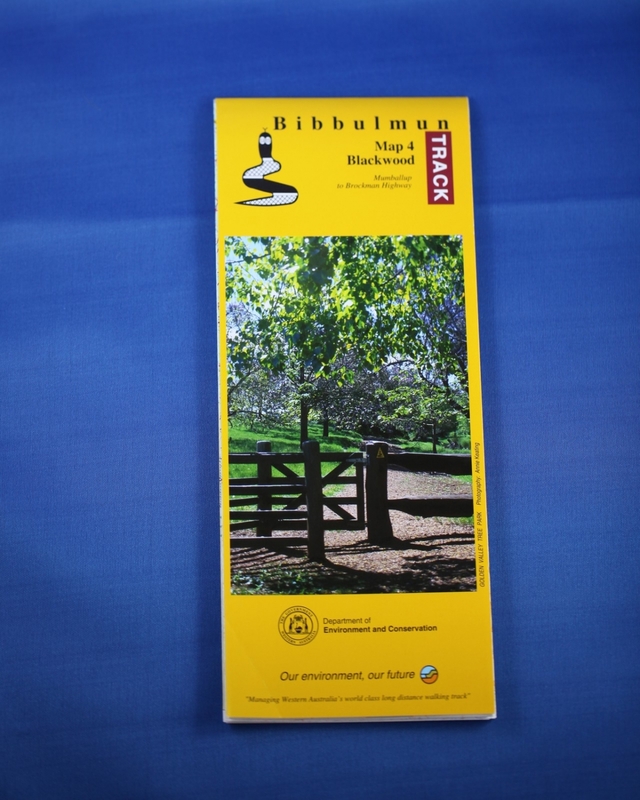 Buy the Balingup Day Walk Map Pack instead - great for beginners or those wanting ideas of where to walk.